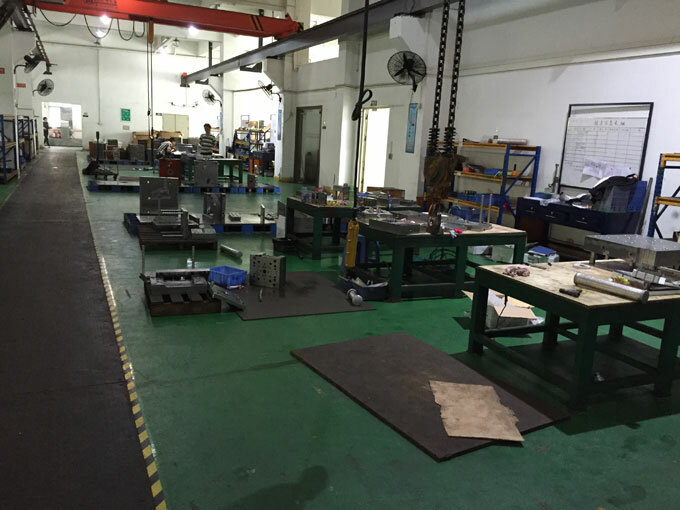 The development of high-end equipment manufacturing systems cannot be separated from the support of the mold industry. At present, our country is a big country in mold production and application. However, after decades of reform and development, there is still a big gap between the local mold industry strength and the international cutting-edge level. A large number of high-end mold products can only rely on imports to meet domestic industrial demand. . This is no doubt the development of the national mold industry. How will the local mold industry rise again in the rapid development of industrial society? Independent research and development is the primary way for companies to obtain independent intellectual property rights. Research and development is also the most important driving force for the development of the foundry mold industry. However, the independent research and development capabilities of China's mold industry are still very weak. At present, the primary development goal for domestic molds is still autonomy. Therefore, China's mold industry can only be fundamentally independent when it is completely separated from technology. Therefore, China's mold industry should increase investment in scientific research, actively cultivate research talents, and research and develop a number of mold production technologies with independent intellectual property rights. It should be actively introduced, digested and absorbed for the technical bottlenecks that cannot be broken at home. At the same time, in addition to the company's increasing awareness of independent intellectual property protection, government departments should also issue more encouragement and support measures to create a favorable environment for the domestic mold companies to develop high-end equipment manufacturing, thereby further promoting the development of mold manufacturing. At present, China's mold industry is mostly concentrated in the middle and low-end areas which the level of mold technology is low and the added value is low. Some high-precision molds also rely on imports. Therefore, the domestic mold manufacturing industry must strengthen integration in various fields. Overall, the Chinese mold market during the 12th Five-Year Plan period is a situation in which both challenges and opportunities coexist. Foreign mold brand challenges remain. The competitive pressures encountered by the Chinese mold industry mainly include the technological advantages of developed countries and the price advantages of developing countries. It needs to be known that not only China has made progress in the development of industrial molds, but also the development of industrial molds in Southeast Asia and Eastern Europe in recent years. , Its advantage in mold prices is obvious which to a certain extent weakened the Chinese mold industry has always been the cost and price advantage. In addition, the strong presence of Japan, South Korea and Western Europe in the high-end mold market has also made the Chinese mold industry face enormous challenges. The market demand promotes the production value of the mold to increase greatly. With the implementation of China's 12th Five-Year Plan and the development policies of emerging strategic industries, regional development plans and policies to revitalize the equipment manufacturing industry will provide new growth points for the mold and dies industry. As the developed countries' manufacturing industries have shifted to China, the Chinese mold industry has ushered in a new round of development opportunities. To sum up, China's mold industry needs strong improvement. Incremental local technological innovation is the primary task and a sound technical reserve. Secondly, it is necessary to rely on the general trend of China's industrial economy during the 12th Five-Year Plan period to enhance industrial competitiveness. We will strive to achieve good real estate sales results.